The trending styles of paneling or cladding are rediscoveries of older styles. 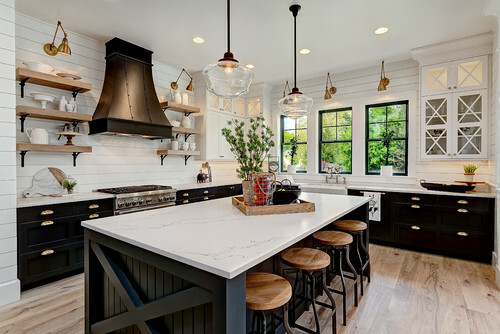 With a simple design that uses real wood, shiplap, beadboard, and V-groove, old styles are experiencing a renaissance for good reason. A wood cladding that relies on a simple L-groove to link together, shiplap is much more versatile than it might first appear. Because the joint between boards is not tongue and groove, the boards can be set apart, giving each shiplap wall a different style and feel. 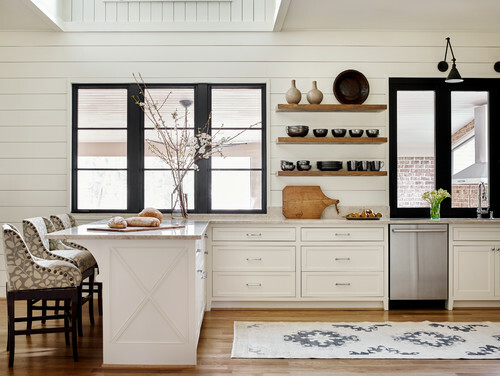 Shiplap was extremely popular in utility spaces because of its simplicity of installation, but today, it can be found throughout the home. A shiplap wall painted in a crisp, high-gloss white can make a great room even greater. Set vertically as a wainscot around a kitchen, it can add vertical height that can make the room feel more spacious. The style is deceptively simple, creating a smooth surface broken up by horizontal or vertical lines that invite the eye’s inspection. In nearly every farmhouse style room in our area and elsewhere, there is a wainscot of beadboard. This tongue and groove wall cladding has a distinctive design along one edge. It’s this design that creates the look we associate with Colonial homes. 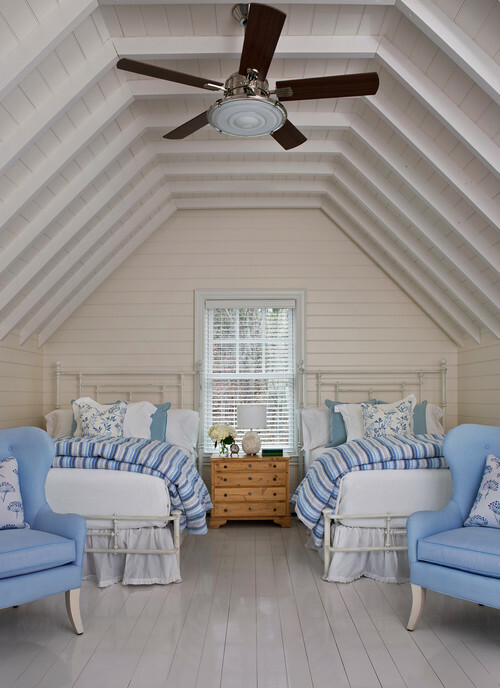 Beadboard, though, is so much more. Turning it on its side and running it horizontally gives it a completely different look and feel. Instead of just leaving it white, painting the wood a darker color or even staining it can make a huge difference in the feel of the room. In many cases, beadboard is used only as a wainscot, but putting it under stairs, up the stair walls, or even over an entire wall in the living room changes the look and feel of this traditional wood cladding. V-groove is another tongue and groove cladding that has a V-cut near the joint. This is a simple design that can create dramatic results. Recently, some homeowners and designers have been painting V-groove with a lacquered look. This extremely high-gloss style of painting gives V-groove a dramatic appearance. Traditionally, V-groove is installed simply horizontally or vertically, but recently, it’s been installed diagonally and even in a patchwork pattern. The possibilities for paint and orientation make V-groove a fascinating tool for homeowners and designers. These types of wood paneling are definitely not the pressboard and plastic-covered stuff of 70s nightmares. Made from whole wood and filled with promise, these are amazing styles that are more today than they were in the past. These traditional panelings can be updated and made more dramatic with a little ingenuity. 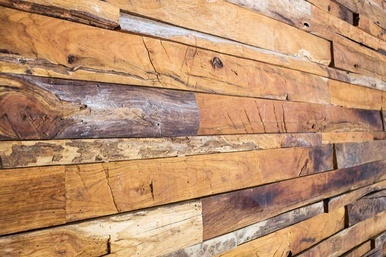 Do you want a touch of this rustic look in your home or office? Call LA Design & Construction! We have experience integrating wood accents in a variety of unique ways to make your project one of a kind. Call us today at (973) 459-4494 or request a quick quote online! Are you looking for more inspiration? Check out Houzz for 1000's of more photos!